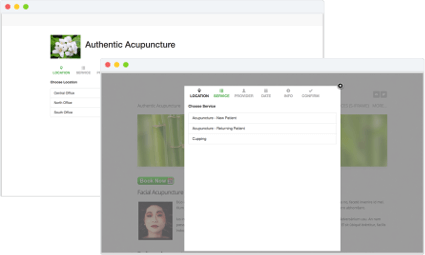 Just some of the features to help grow your acupuncture practice. Manage all your patients information and interactions in one place. Securely store patient demographic information, contact details, and insurance information. Create clinic specific fields to collect the data you need. Give your patients the ease of self scheduling from your website with the Book Now button and your Booking Site page. 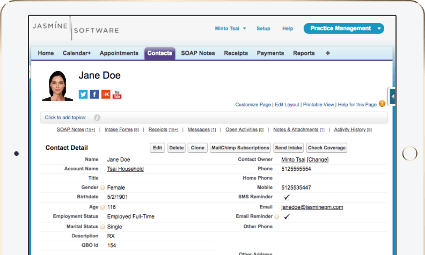 Easily schedule patients on the back-office calendar. Remind patients of appointments with email and text reminders. 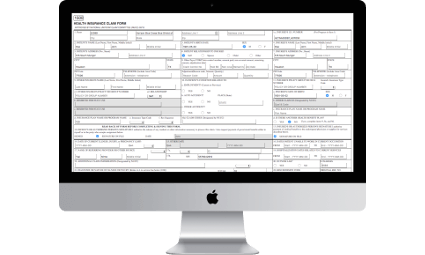 Save valuable time & paper with electronic patient Intake Forms and SOAP Notes. Patients can fill out your Intake Forms at home or in the office. The online intake forms are sent to patients by email and filled out at their own leisure. The Patient Intake App for iPad/Android allows your patients to fill out the intake form in the office. 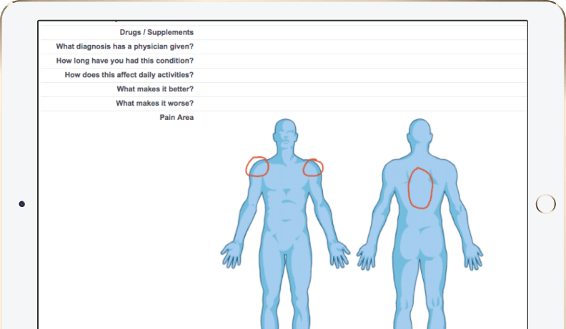 Patient Intake & SOAP Notes are both customizable and you can create your own templates to match your practice. 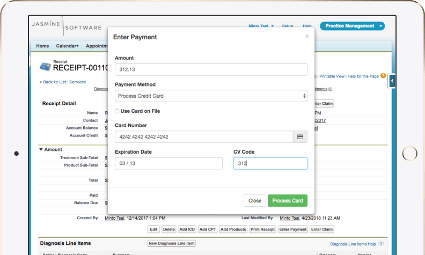 Easily record payments and purchases and have them associated with patient accounts. This also allow you to see outstanding accounts and account credits. Process credit card transactions within Jasmine. Also, keep cards on file for quick and simple patient checkout. Print and save Superbills directly from within Jasmine. Take your insurance billing needs to the next level. Save time by checking patient insurance coverage within Jasmine. Electronically send CMS-1500 forms to insurance companies for processing patient claims. Automatically get claims status updates from the insurance companies. Record insurance payments, deductibles, copayments, & coinsurance. Manage all your herbal inventory within Jasmine. Keep track of the amount of inventory you have in stock. Prescribe and sell products to your patients. Keep accurate records of the transactions in Jasmine. When inventory gets low, Jasmine sends you alerts to re-stock. Branding is an important part of your practice! The ability to be on a patient's phone, keeps your practice at the top of your patient's mind when choosing among the many healthcare options. 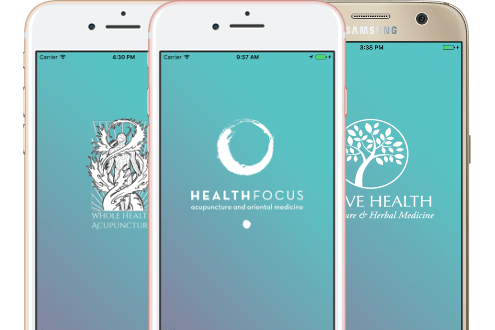 The Branded Clinic App lets you offer services to your patients, so you can focus on treating patients. Your patients can schedule appointments, see your clinic hours, and lookup your contact infomation. All from their iPhone and Android phones! 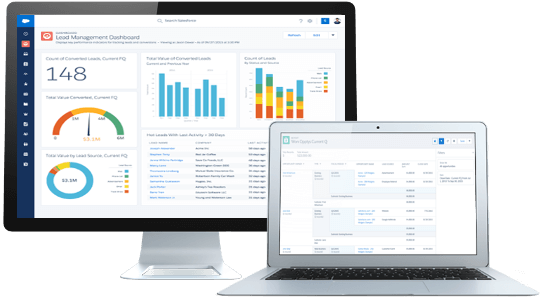 Your receipts, payments, customers, services, & inventory automatically export to QuickBooks, saving you time. Eliminating the need for double entry. 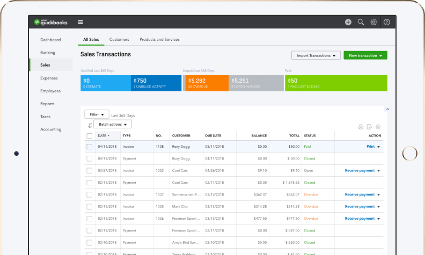 When you create an invoice/receipt in Jasmine, the details are recorded in QuickBooks Online. 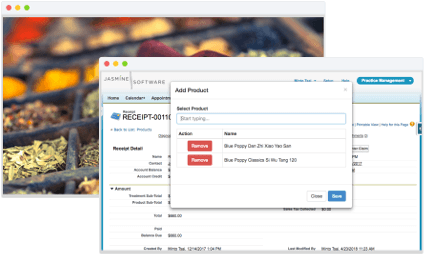 Import your QuickBooks Online inventory into Jasmine. Reporting is the best way of understanding the health of your business. Keep a watchful eye on all parts of your business from appointments, patient progress, inventory, & financials. Easily create new reports giving you needed insights into your unique business. Use many of the out of the box reports to start understanding your business. Seeing is believing. Start your free, no-risk, 14 day trial! © 2019 Jasmine Software, LLC. All rights reserved.